and soldered wire hooks on the back. roller buckles. Black or Russet. 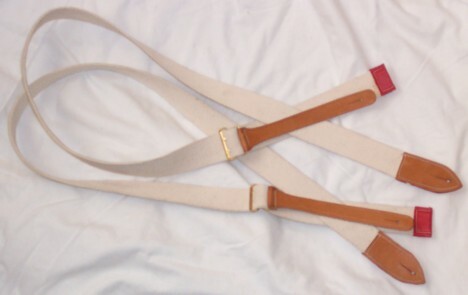 Painted Canvas shoulder belt with leather ends . 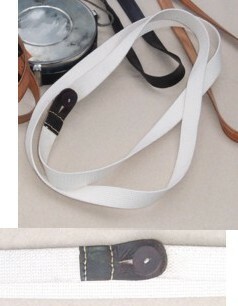 We are pleased to offer four styles of Confederate Canteen straps to our customers. 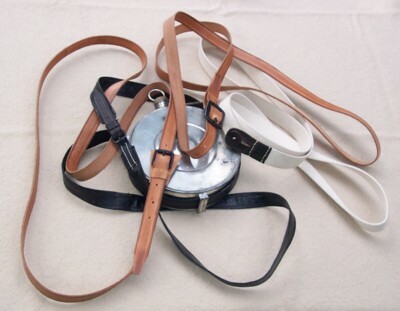 By simply changing your canteen strap you can acheive four different Confederate impressions with your tin drum canteen. 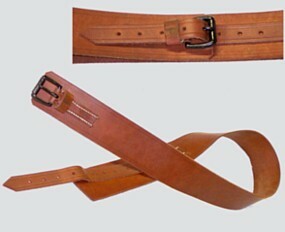 The Magee & George strap is made of russet leather and has a trapezoidal shaped safe. 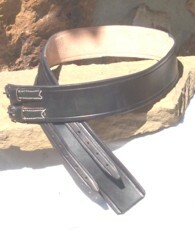 The strap adjusts with a black cast iron buckle. 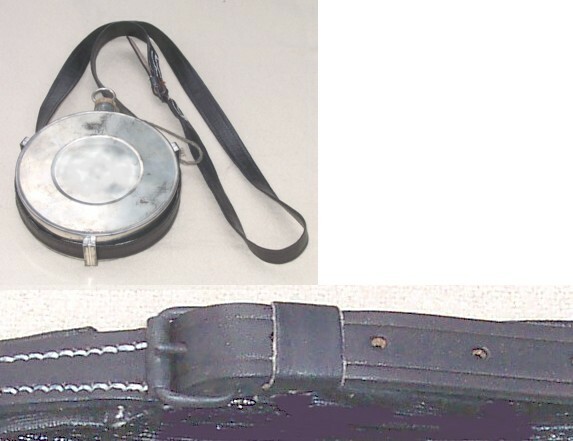 Black Oil Cloth Confederate Canteen strap with leather tips and a 5/8 roller buckle. desired position. These straps may shrink some with use. has a cast iron buckle. Note: These straps will not fit Enfields. While on an inspecting tour in Columbus, Ga. in the winter of 1862-63, I was informed that wooden, horn and bone buttons were being manufactured there, and I visited the plant. The factory was owned by a former lieutenant of the Confederate army, who had lost an arm in one of the early battles. final process of their manufacture the completed buttons dropped into the hoppers with as much rapidity as nails from a nail making machine. Dr. S.H. Stout, Medical Director of Hospitals in Confederate Veteran Magazine. Our button making machines are not quite so rapid as the originals but they do produce one of the finest reproductions of wooden, recessed center, two hole Confederate wooden buttons. These buttons compare favorably with the originals often seen on the mystery jacket and other depot produced Confederate jackets. They seem to have been distributed from the Trans-Mississippi to the Atlantic coast. Our reproductions are made from kiln-dried native hardwoods with an oil finish in their natural color that compares very well with the original specimens. with insert showing closeup of leather ends. to the original button show above.